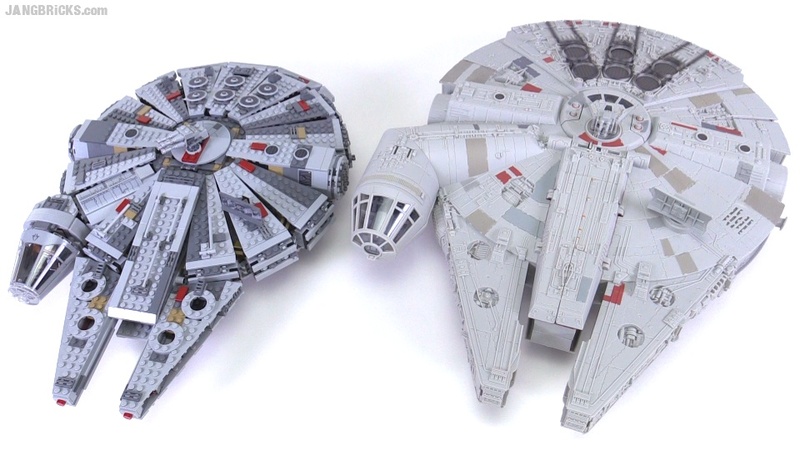 Finally, here's the brick-based vs. traditional toy comparison I've been most looking forward to this year. Hasbro's new big "Battle Action" Millennium Falcon was released earlier this week and I was quick to pick it up & check it out. It's a good deal larger than the LEGO version and has more action features, but it's lacking in interior play space. The price difference between the two is almost negligible, though, making this an interesting and delightfully fair fight.